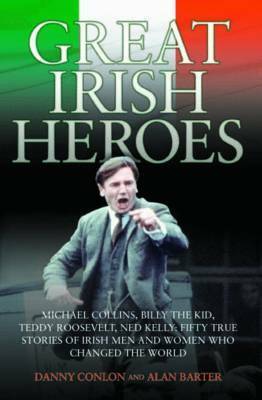 From Billy the Kid to President Roosevelt, this is a spectacular collection of true stories of Irish men and women who have changed the course of history: John Barry, the poor Irishman who made waves as the father of the US navy; William Brown, the Irish cabin boy who sank the invading Spanish fleet; Daniel Joseph Keogh, the young lad from County Longford who became the hero of the Korean war. They are all united in having carried the glory of the Irish to the four corners of the earth. This book perfectly displays the indomitable nature and good humour of all those who hail from the Emerald Isle.